Inside the politics of award shows. An Editorial. Disclaimer: In case you’ve never read one of my editorials, they tend to be pretty lengthy and opinionated. Although I try to make a distinction between what constitutes an editorial and a rant, they often cross over. I’d remind you to be aware that everything written here is my opinion, but you should not need that warning. Every blog has a little (or a lot) of the blogger’s own point of view (in this case, mine). Imagine that everything I say in this article starts with “In my humble opinion,” and we’ll be just fine. Award shows are a dime a dozen, but the televised ones seem to draw more recognition. The Grammys are considered (or perceived) as the highest award in mainstream music. They’re given by the National Academy of Recording Arts and Sciences, a U.S. organization of musicians, producers, recording engineers and other recording professionals dedicated to improving the quality of life and cultural condition for music and its makers. As a group of professionals, you get much more prestige to be nominated than an award show organized solely by the broadcaster. This is why the CMA Awards, given by the Country Music Association and the ACM Awards, given by the Academy of Country Music have a high prestige as well. They’re both given by an association of artists, promoters and insiders of the country music industry. That being said, they’re televised on specific networks. 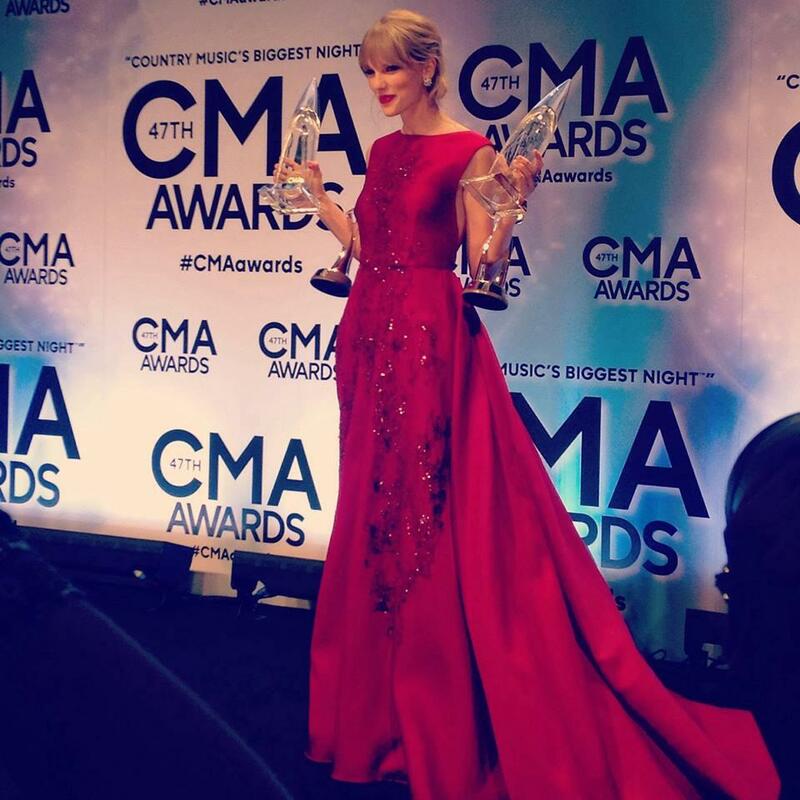 The CMA Awards are broadcast on the ABC Network while the ACM Awards air on CBS. However, these shows could even change networks since their respective organizations are independent. Most of the members of the CMA belong to the ACM and the other way around, but their leadership is different. ACM’s Entertainer of the Year is fan-voted while CMA’s Entertainer of the Year is inside voting only. The purpose of award shows from the network’s perspective is to highlight the network’s shows and artists. That’s why during the CMA awards you saw the cast of ABC’s Nashville. At least they kept the Country Music theme. “Wait,” you might say, “the guys from Duck Dynasty were there! That’s not ABC!” No, not directly. They’re a show on Arts & Entertainment (A&E)… which is a joint venture of the Hearst Foundation and Disney ABC Television Group. See how that works? Remember when the cast from Jersey Shore showed up at the CMT Awards? Made no sense on the surface. Except that CMT is a channel property of MTV Networks. That’s why you get all the casts of the new MTV shows appearing at the CMT Awards. The CMT Awards as well as the MTV VMAs are owned exclusively by MTV Networks. Their voting rules for fan-voted allow for executive network decisions at their sole discretion. It means they can influence the voting given certain conditions, and they abstain from disclosing if they do that. So where does the Princess in Red fit in? Well, she didn’t win a singing contest on a particular network. She also sells enough tickets and definitely outsells most artists on the surface on the earth to guarantee she can win anywhere. Or nowhere, depending on your point of view. However, her label does have deals going with certain networks. Currently Big Machine Label Group has three artists on their roster from NBC’s show The Voice: Danielle Bradberry, Cassadee Pope and RaeLynn. However, BMLG also has a deal to publish the music from ABC’s TV show Nashville. Big Machine gives Taylor the chance to move around. Remember, she’s won awards on almost every award show. One could argue she had the home field advantage at the AMAs because it was ABC. She’s been called CMA’s darling before too. Again, remember Taylor is the odd artist that has wins everywhere. Well, almost everywhere. Taylor has never won anything from the American Country Awards, a show that’s still a newcomer in the award circuit. You’d think that FOX had something against her, but that’s not entirely true. Taylor has won several of the surfboards from the Teen Choice Awards, also a FOX property. The difference is that in a FOX Network award show, she does not have what I’m going to call “the home field advantage” – which in case of FOX goes to Carrie Underwood (no, I have nothing against Carrie – read on). So does this advantage mean that an artist whose career was born out of a deal with a network will always win in an award show run by that network? No, but it does give them an edge if the voting comes close. Almost all fan-voted awards have clauses regarding that. The Sparkly Dressed often performs first live performances of new singles for certain shows. That’s a bit of a negotiation card. Taylor gets exposure and the show gets to have an exclusive (they like that). The X Factor and Idol have received that honor. Both shows are FOX properties in the US, but more often than not, the Enchantress has performed for their international versions. When the ACAs started back in 2010, the focus seemed to be in finally giving all the country music stars that were coming out of American Idol some recognition. Carrie Underwood certainly didn’t need that six-award sweep on the ACAs their first year. She’s got very prestigious awards already under her belt. It was the ACAs that needed to give her those awards. On the other hand, Scotty McCreery and Lauren Alaina got awards in the consecutive years after being passed on other award shows. I believe excellent artists deserve nominations. But within a set of excellence, deserving an award more than the rest is a decision of the moment. The actual win is granted privilege, not a qualification. That means it’s not a fact that an artist is better than his or her peers. It’s a concession. This time, this moment, this association or network or voting board has given you the award that could have gone to any of the nominees. When it’s a fan-voted award show the dynamics change. How much of the fan-voted award shows are 100% fan-voted? Very few. The truth is that there is no real fairness in award shows. It’s all perception from their ruling board. When we see someone win over Taylor, our perception which comes from our point of view is that the award show is “rigged” because it doesn’t match what we know. Remember when the Grammys gave best New Artist to Esperanza Spalding? She was a young jazz musician, able to play a multitude of instruments, a talented composer and a songwriter. Amazing talent at a genius level. Justin Bieber, who was also on the run, was consider the popular choice based on his extensive following and album sales. The point of view was that of the Academy’s, not the general public and that’s why Esperanza won. See why Taylor’s wins across the board are such an achievement? The general public and associations of artists and critics have actually agreed with each other. On certain awards, the organizers seem to make sure that the winner comes to the ceremony and you can tell who the winner is going to be based on attendance. These awards usually are owned by the network who broadcasted them and aimed at a younger crowd. But it’s still a matter of who the organizers think should win, although sometimes they do take input from their audience. The fandom gets to push their idol to the top of the nominations, but often enough the voting rules allow the organizers to pick from the top and decide to spread the love around – meaning try to give awards to everybody so that each fandom is happy. However, when the risk is low and the challenge is non-existant, you can’t really blame the audience for losing interest. So, how does Taylor’s chances look for the Grammys in 2014? Pretty good. She doesn’t have the home field advantage – technically, nobody has it regarding the Grammys but she’s won before. That is both a good thing and a bad thing. It means she can potentially win, but the Academy can also consider she has already won and give it to someone else. After her win at the CMAs, there’s a picture of Taylor with Neal Portnow, the president of the Academy. Now the Enchantress is going to broadcast a performance from Sydney for the Grammy Nominations Live Concert. Is there a Grammy on Taylor’s future next year? I’d say there are good chances. Is there an ACA? They’d win more giving Taylor an award than ignoring her. People’s Choice? Hopefully so, and you can vote now. Regardless of theories, home advantages and opinions, I’ll always vote for the Blonde With The Sparkly Guitar. May the odds be forever in her favor. December 6: The GRAMMY nominations are announced. Taylor will perform from Sydney, Australia! Previous Previous post: News Update: A Grammy nomination performance from Sydney! More from Auckland, NZ! Next Next post: Farewell, New Zealand! The sun shines and it’s a beautiful day.